Training and aptitude of people assigned to these jobs should make them alert for the intermittent electrical failure, the worn part, the inappropriate noise, the cracks or other signs that warn of impending breakage or that a safeguard has been damaged, altered, or removed. By observing machine operators at their tasks and listening to their comments, maintenance personnel may learn where potential trouble spots are and give them early attention before they develop into sources of accidents and injury. Sometimes all that is needed to keep things running smoothly and safely is machine lubrication or adjustment. Any damage observed or suspected should be reported to the supervisor; if the condition impairs safe operation, the machine should be out of service for repair. Safeguards that are missing, altered, or damaged also should be reported so appropriate action can be taken to insure against worker injury. If possible, machine design should permit routine lubrication and adjustment without removal of safeguards. But when safeguards must be removed, and the machine serviced, the lockout procedure of §1910.147 must be adhered to. The maintenance and repair crew must never fail to replace the guards before the job is considered finished and the machine released from lockout. Is it necessary to oil machine parts while a machine is running? If so, special safeguarding equipment may be needed solely to protect the oiler from exposure to hazardous moving parts. Maintenance personnel must know which machines can be serviced while running and which cannot. “If in doubt, lock it out.” Obviously, the danger of accident or injury is reduced by shutting off and locking out all sources of energy. 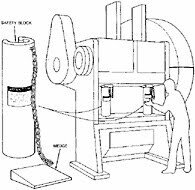 Figure 2 shows safety blocks being used as an additional safeguard on a mechanical power press, even though the machine has been locked out. The safety blocks prevent the ram from coming down under its own weight. Figure 3 shows a lockout valve. The lever-operated air valve used during repair or shutdown to keep a pneumatic-powered machine or its components from operating can be locked open or shut. Before the valve can be opened, everyone working on the machine must use his or her own key to release the lockout. A sliding-sleeve valve exhausts line pressure at the same time it cuts off the air supply. Valves used to lock out pneumatic or hydraulic-powered machines should be designed to accept locks or lockout adapters and should be capable of “bleeding off” pressure residues that could cause any part of the machine to move. Dupont Hydro is a renowned supplier of hydraulic trolley and mechanical trolley in Delhi, India. Hello, I love reading through your blog, I wanted to leave a little comment to support you and wish you a good continuation. Wish you best of luck for all your best efforts. mechanical trolley, Planetary Gear Boxes. While doing any electrical repair safety is always the first priority and to avoid any hazardous situation it is advisable to hire an experienced electrician like DCN electrical.